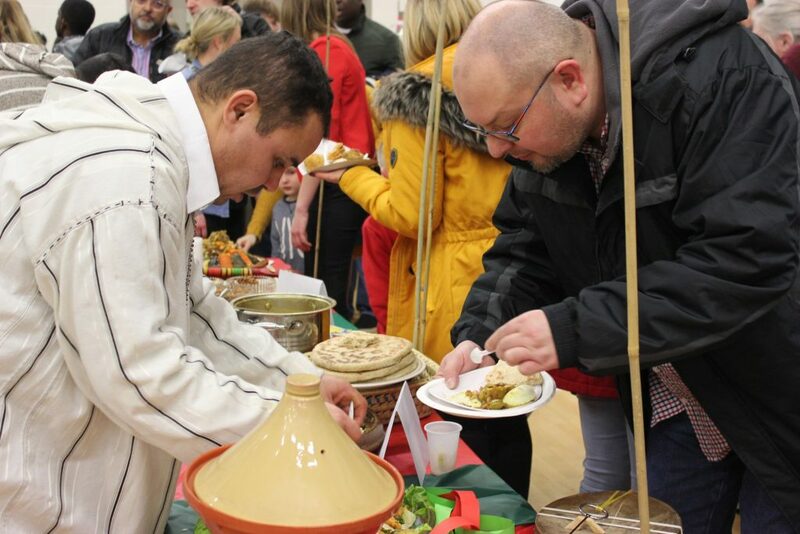 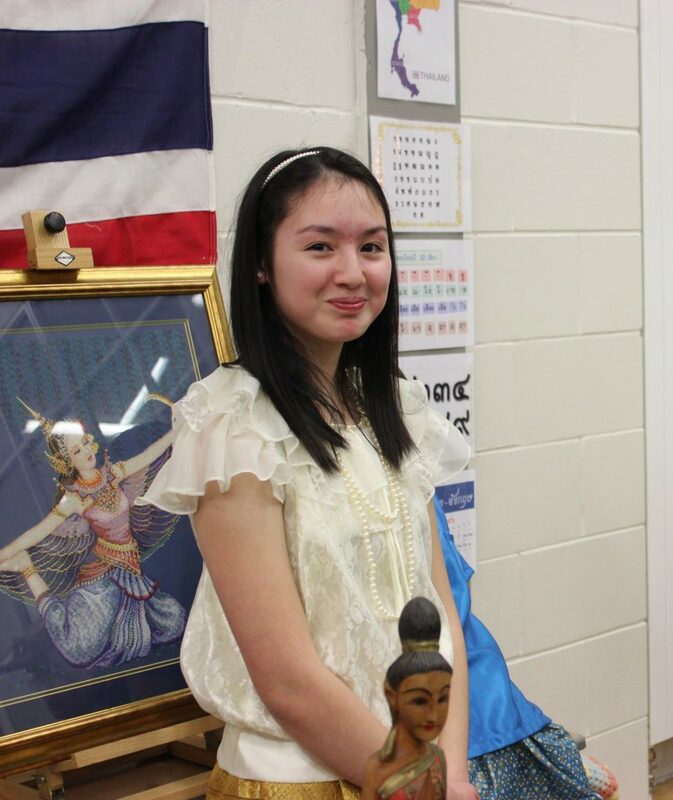 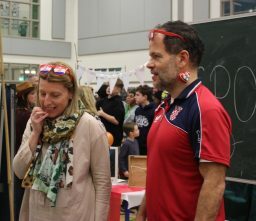 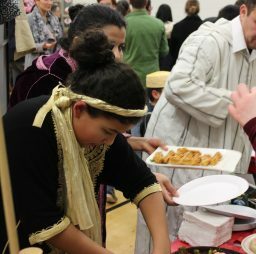 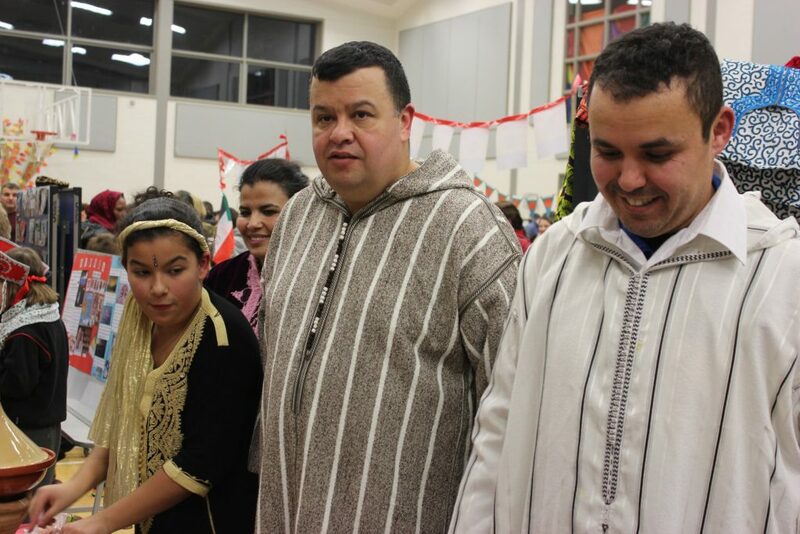 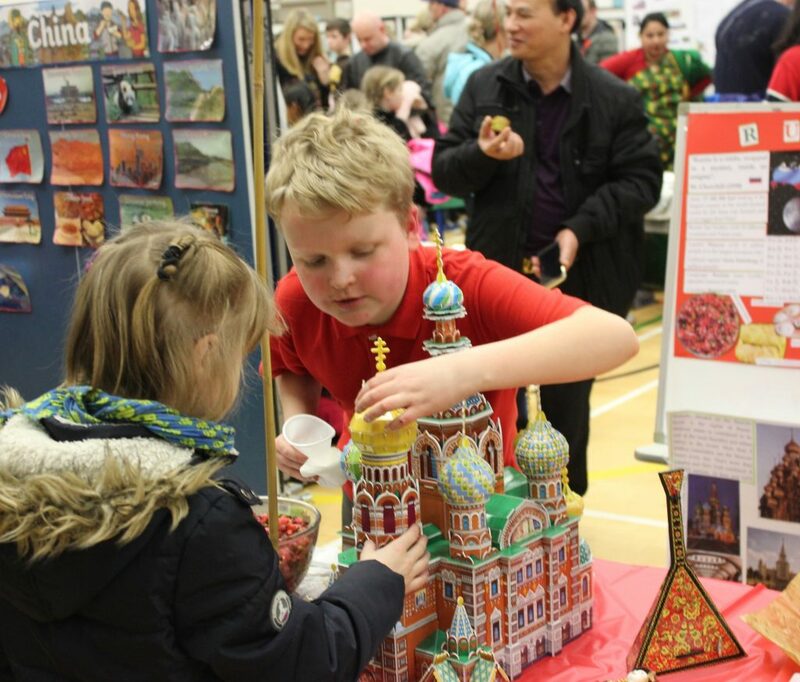 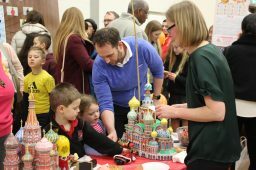 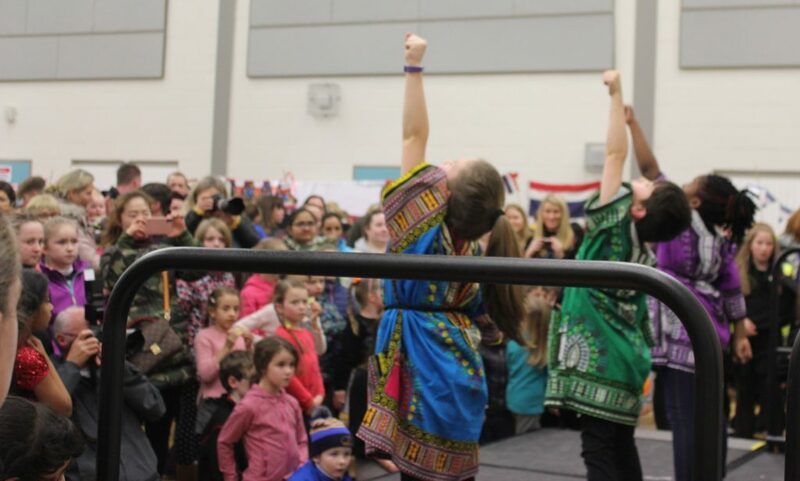 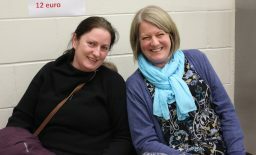 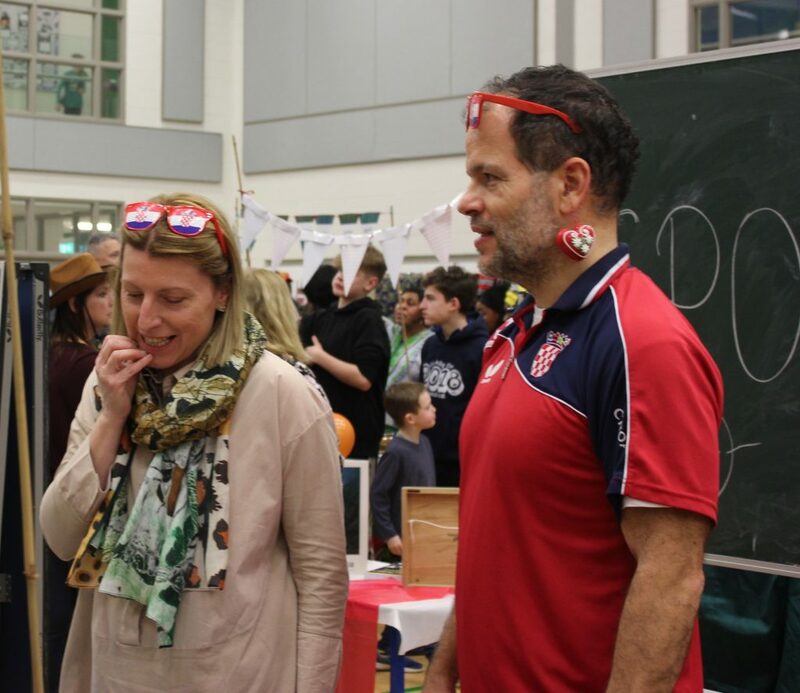 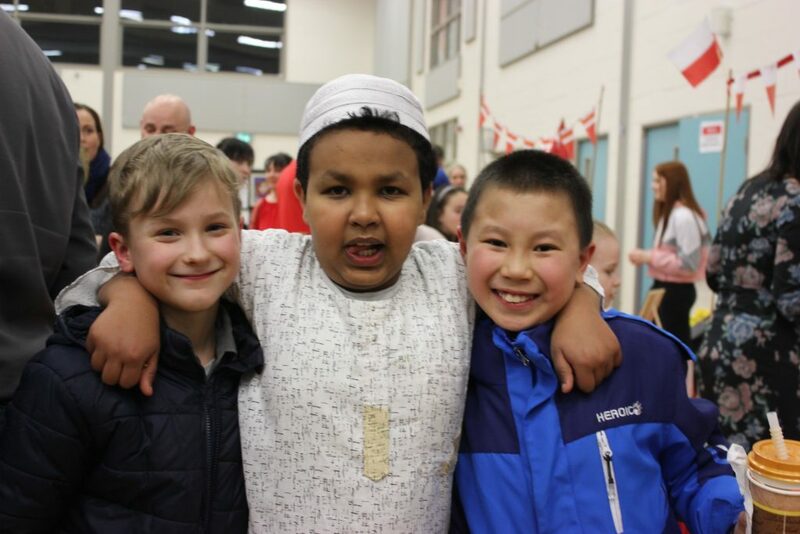 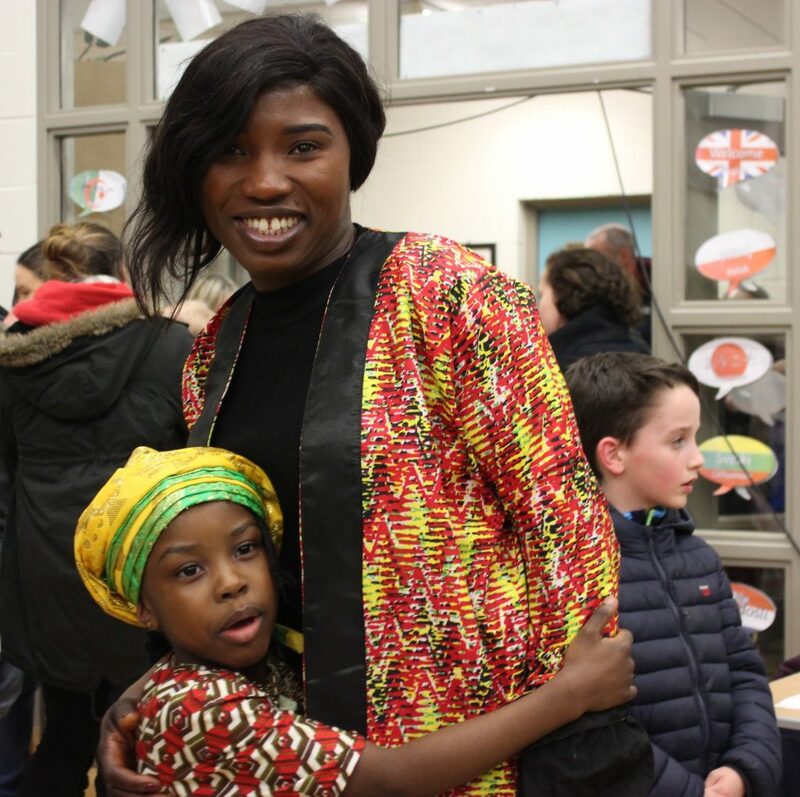 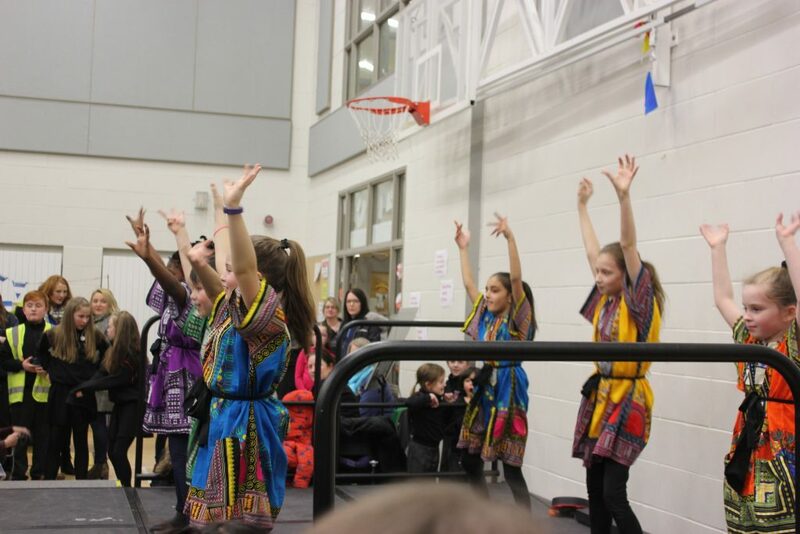 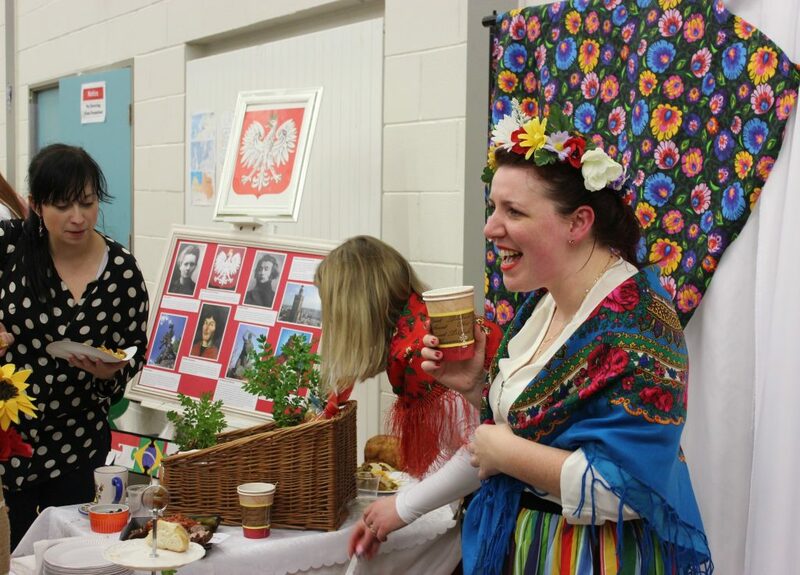 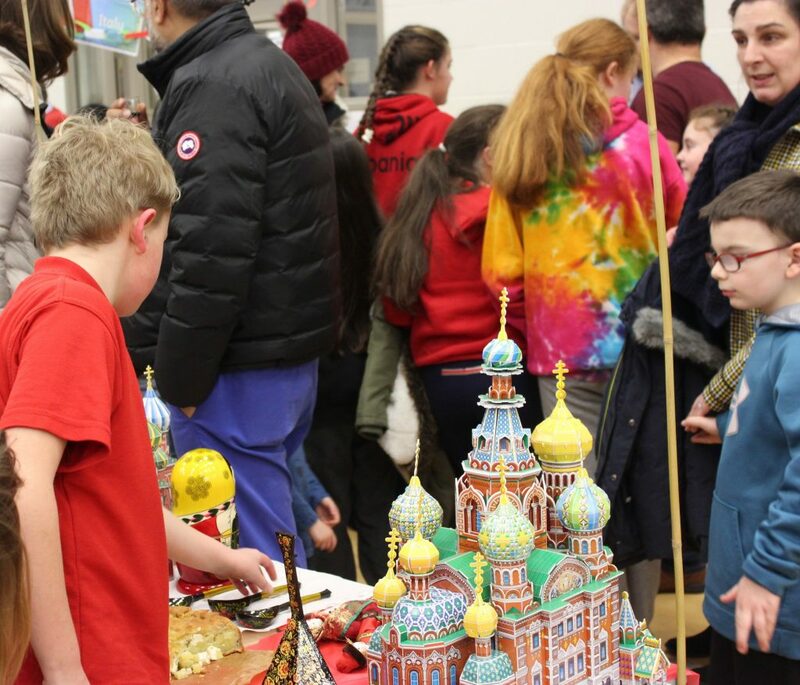 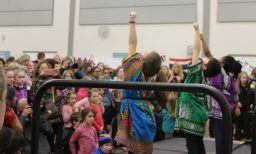 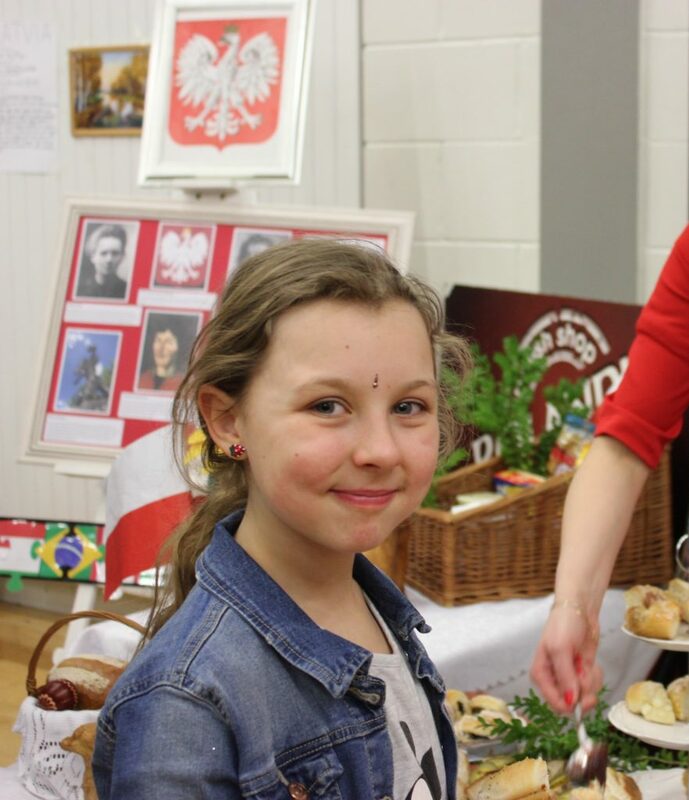 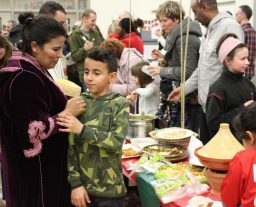 Our Intercultural Night last Wednesday was a great success. 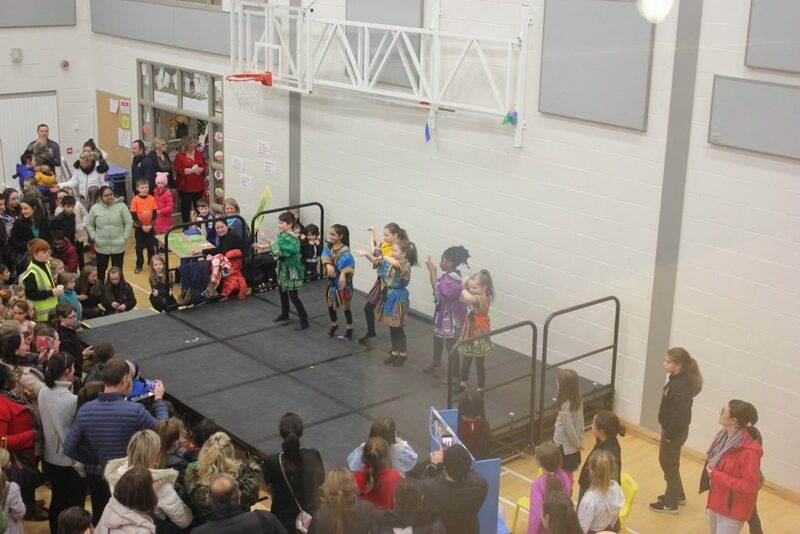 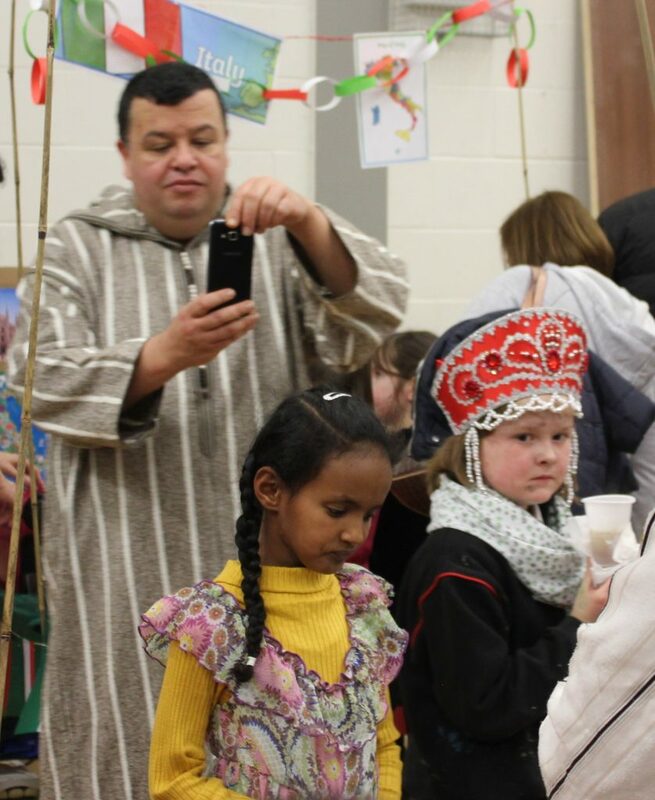 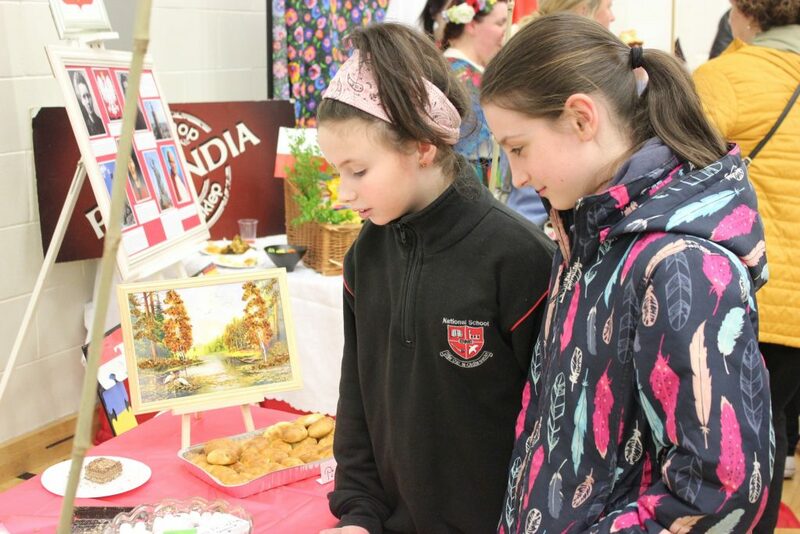 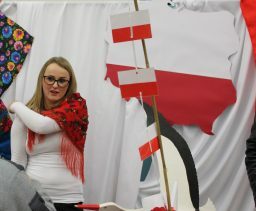 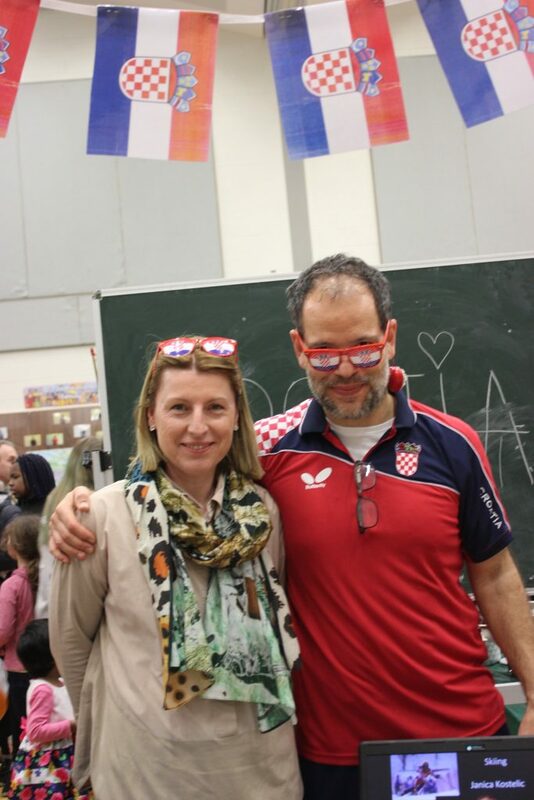 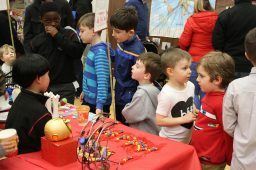 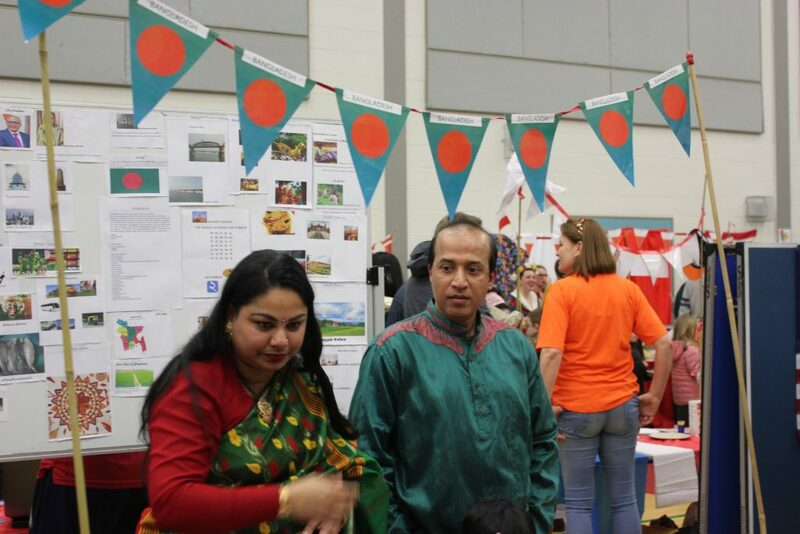 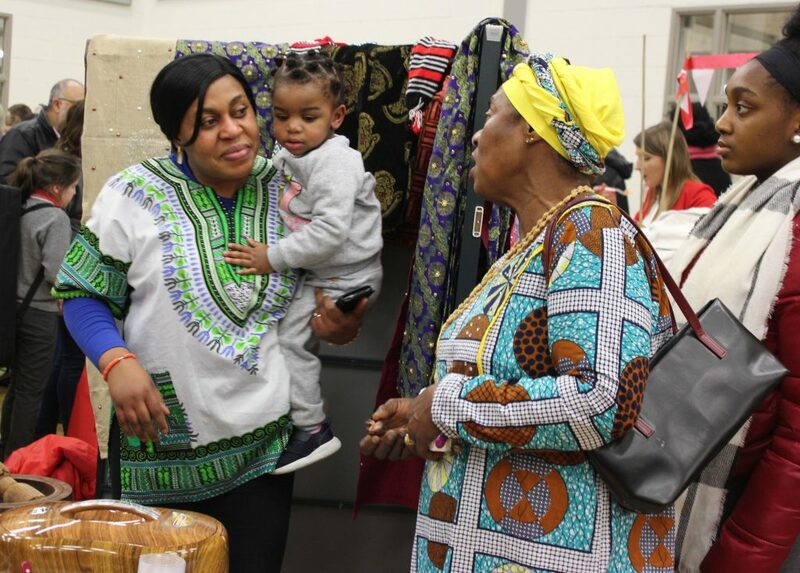 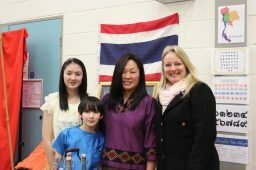 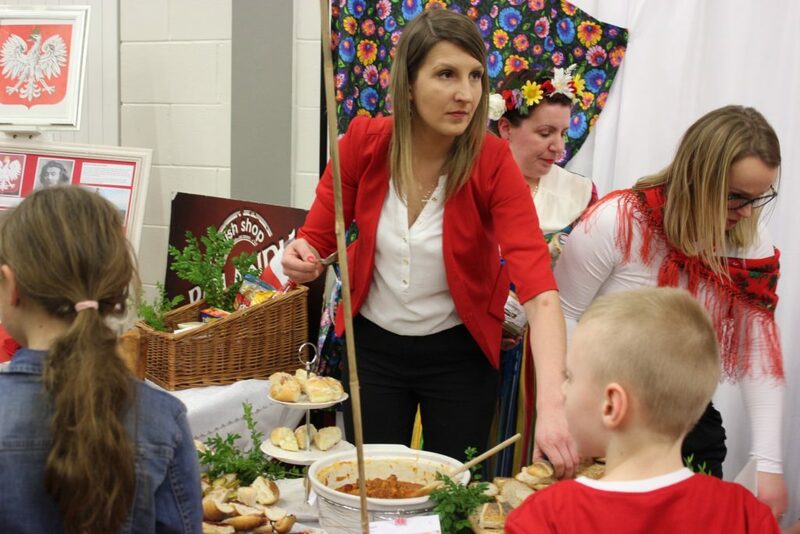 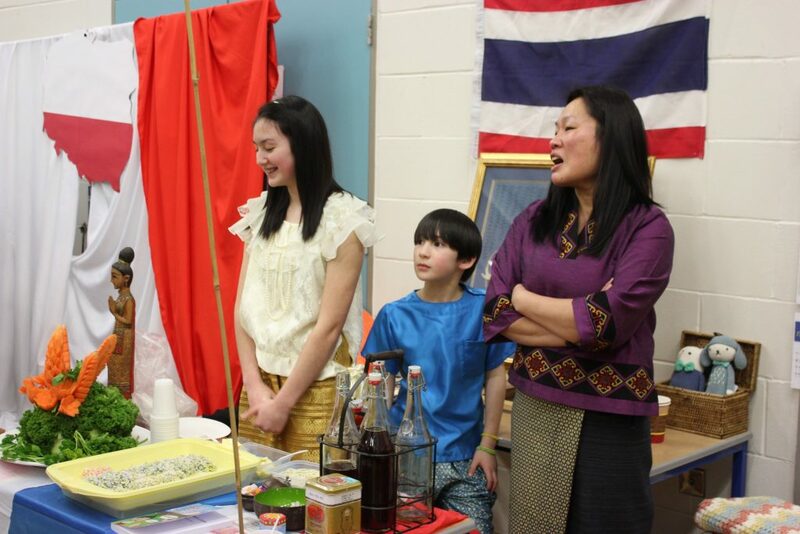 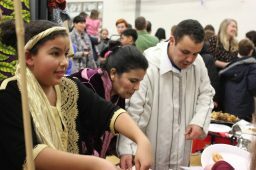 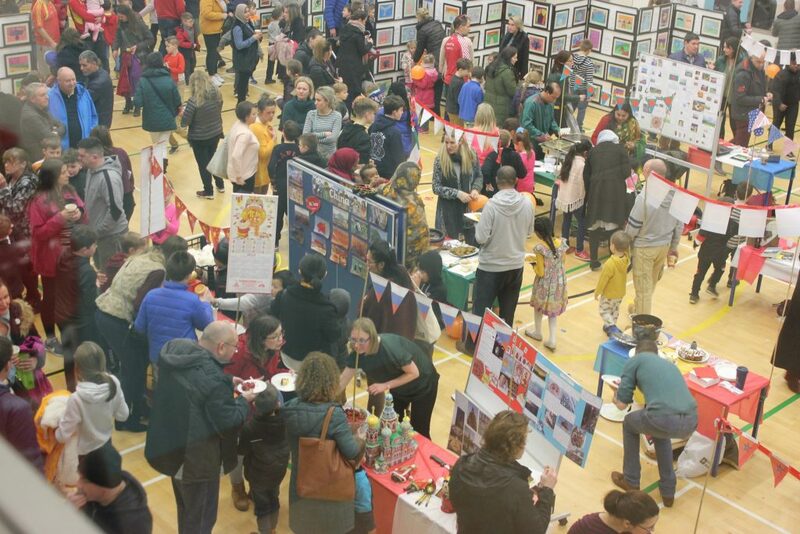 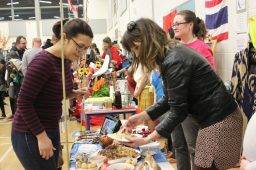 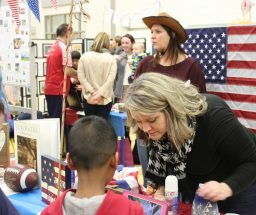 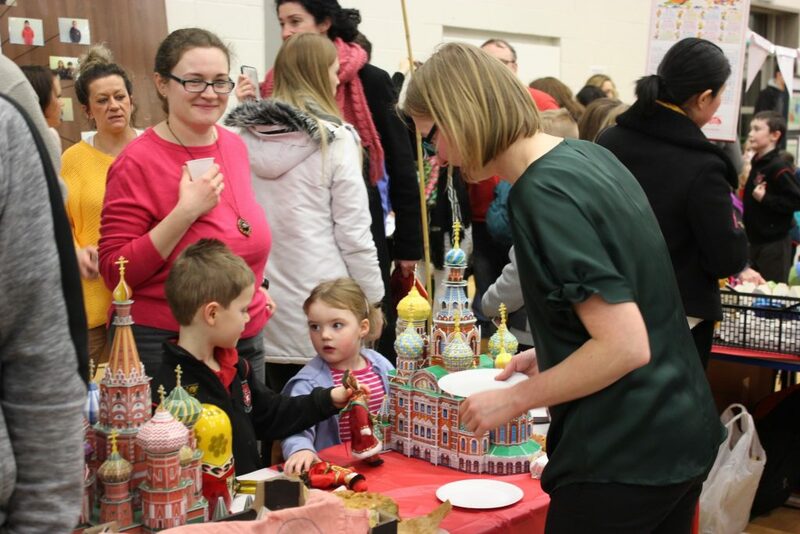 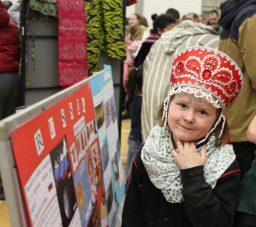 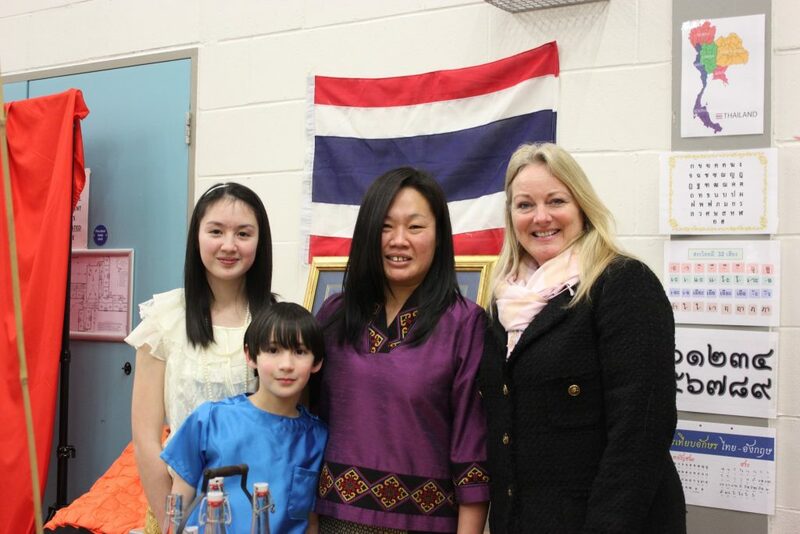 Many thanks to all the parents who displayed the costumes, food and artifacts of their countries. You were amazing. 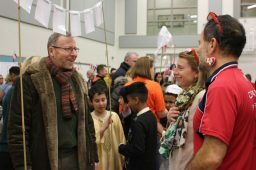 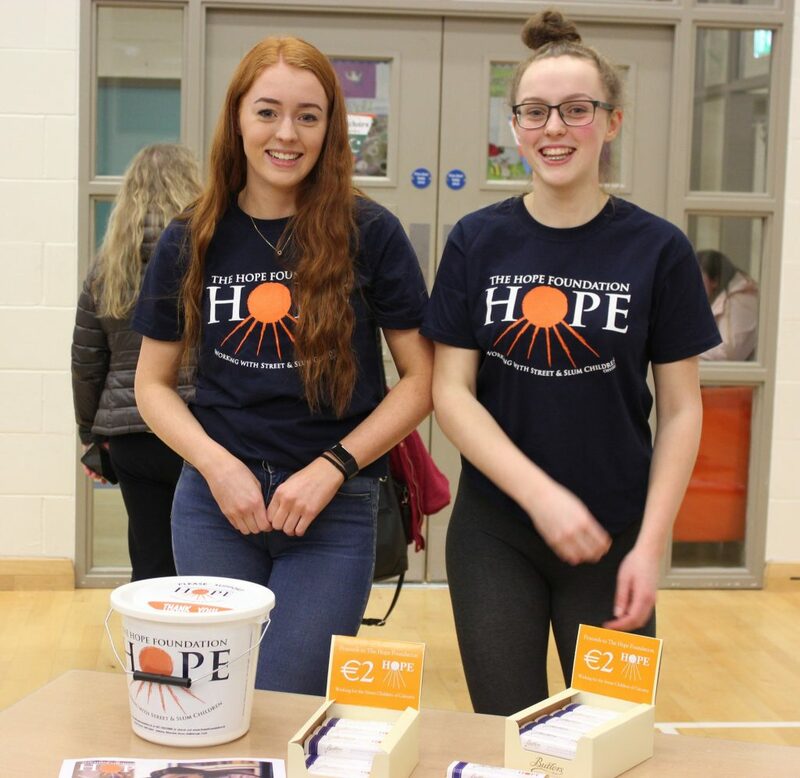 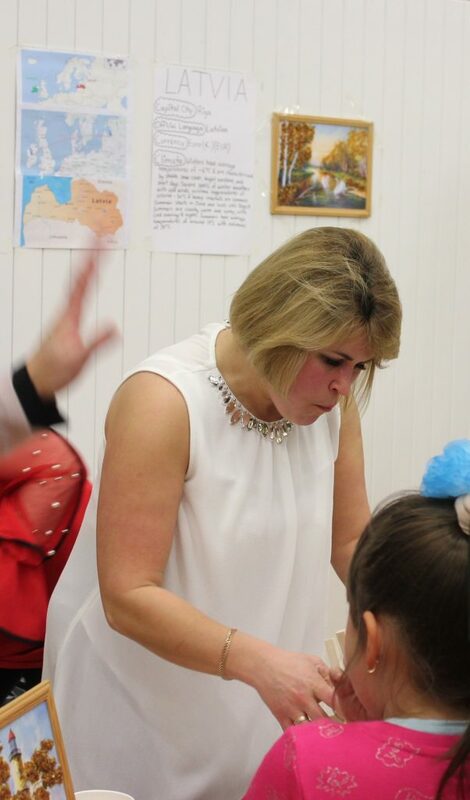 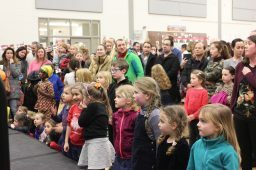 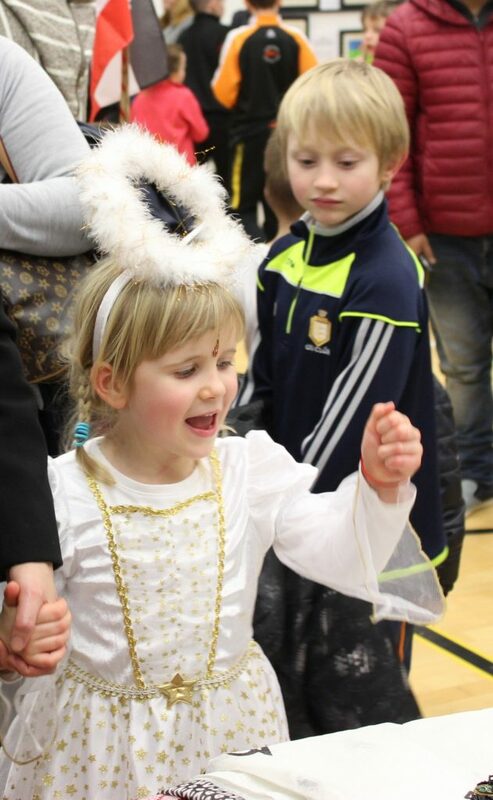 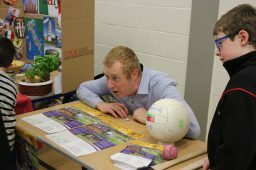 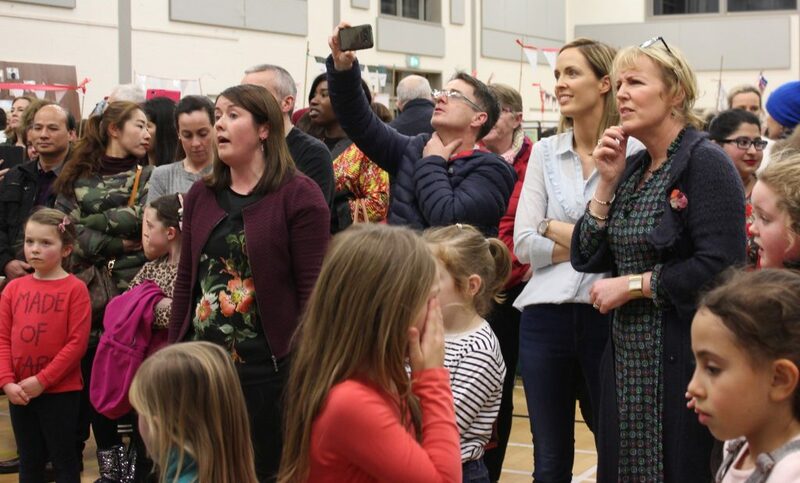 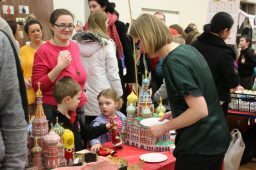 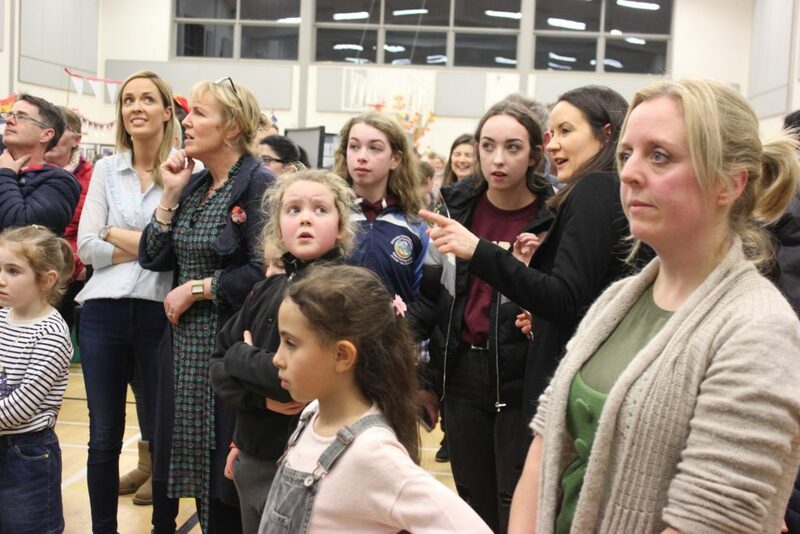 Hundreds of people visited our school on the night, with people arriving even before the appointed start time of 6pm. 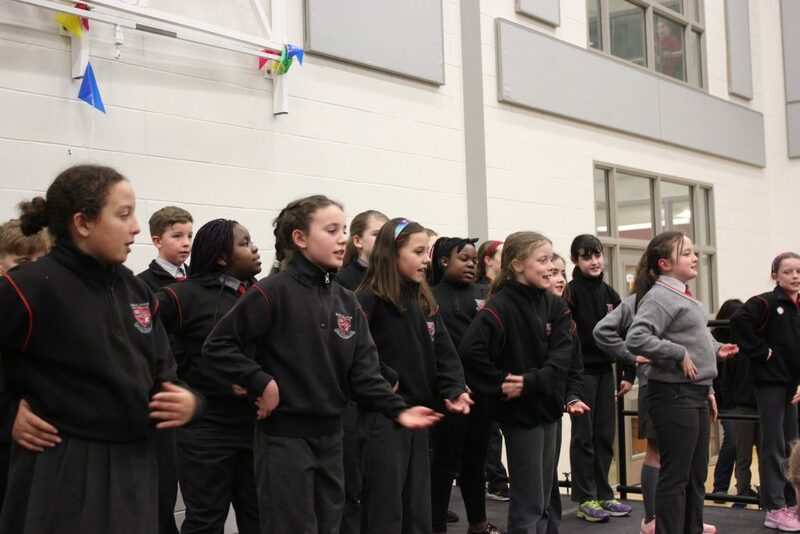 The School Band played in the foyer from 6 – 6.45 and had an attentive audience enjoying their music all that time. 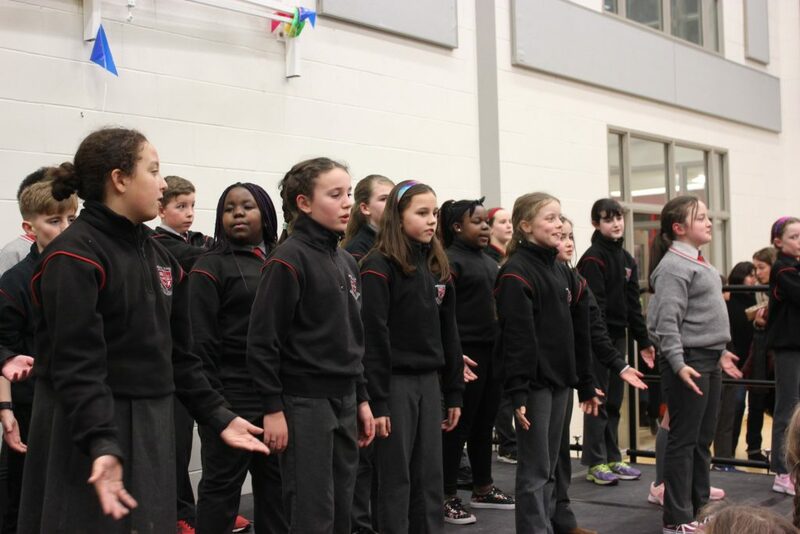 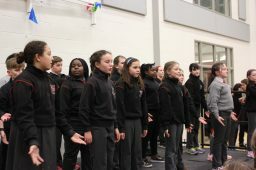 Inside the hall, there were performances by singers and dancers from the school. These attracted a large and appreciative audience. 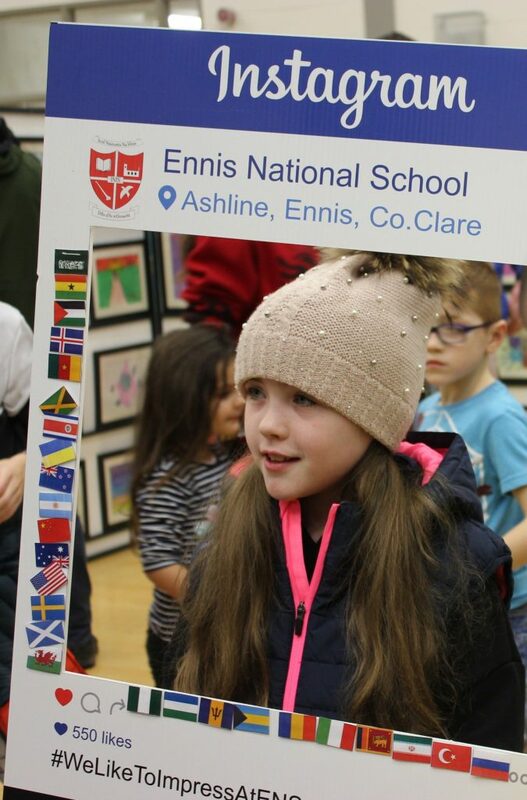 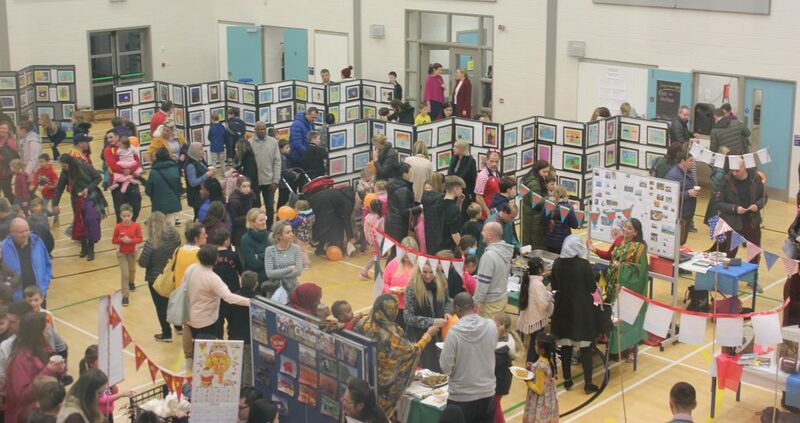 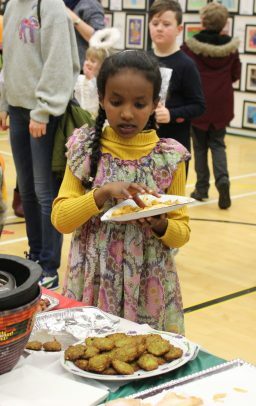 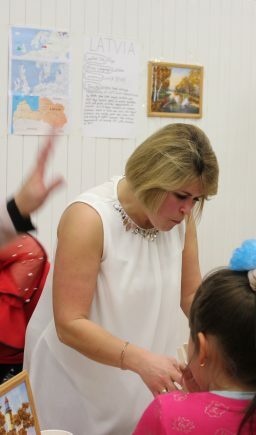 Our art exhibition featured pictures by all children in the school and was viewed by a huge number of parents and friends. But the highlight of the evening was the display stalls of various countries from all over the world. 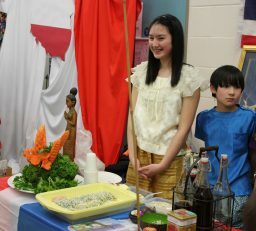 The amount of gorgeous food from around the globe was greatly appreciated. 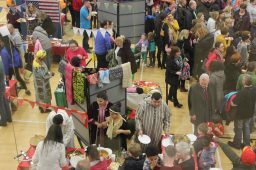 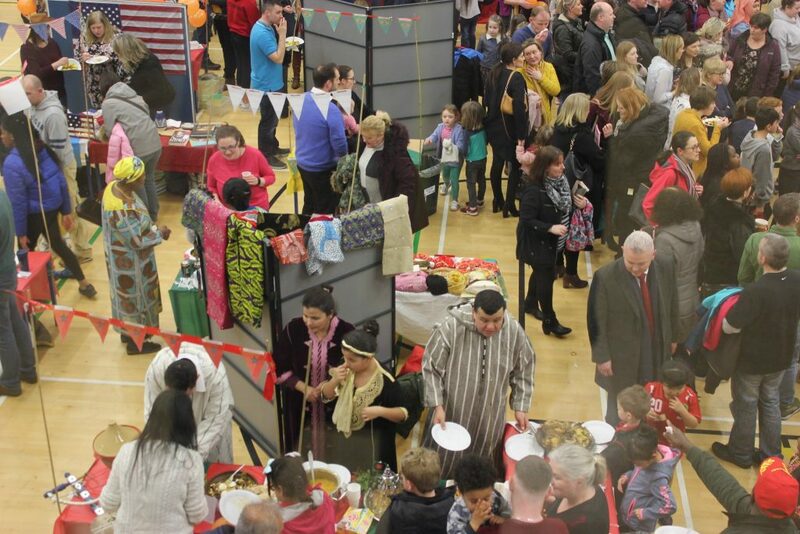 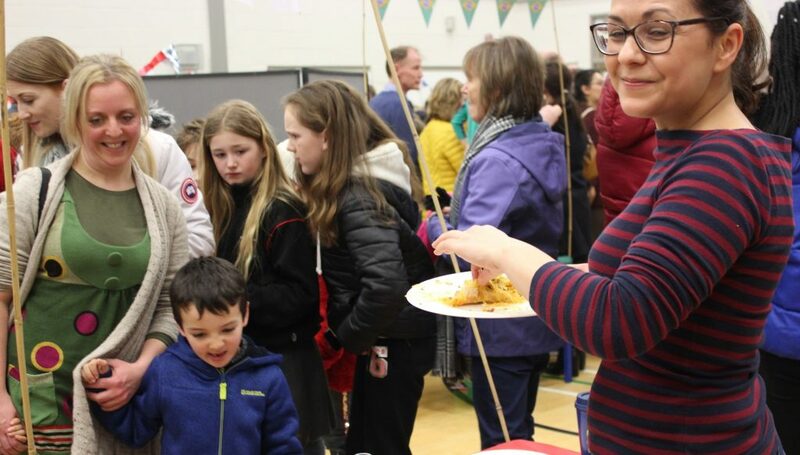 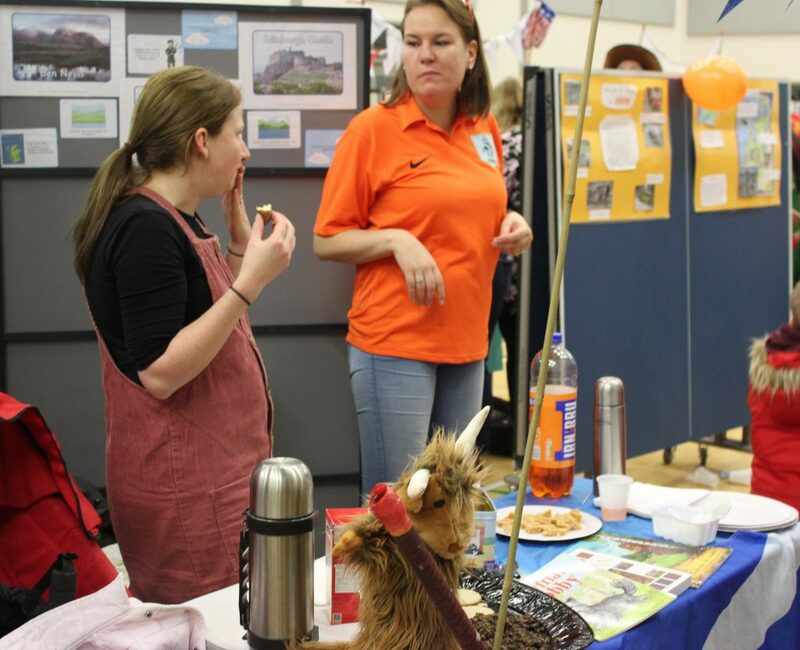 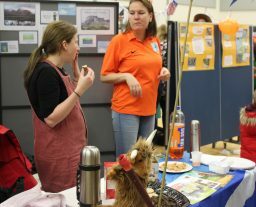 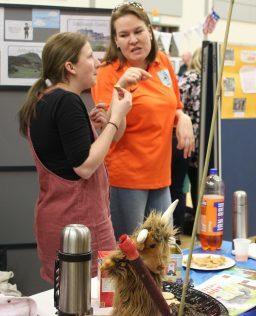 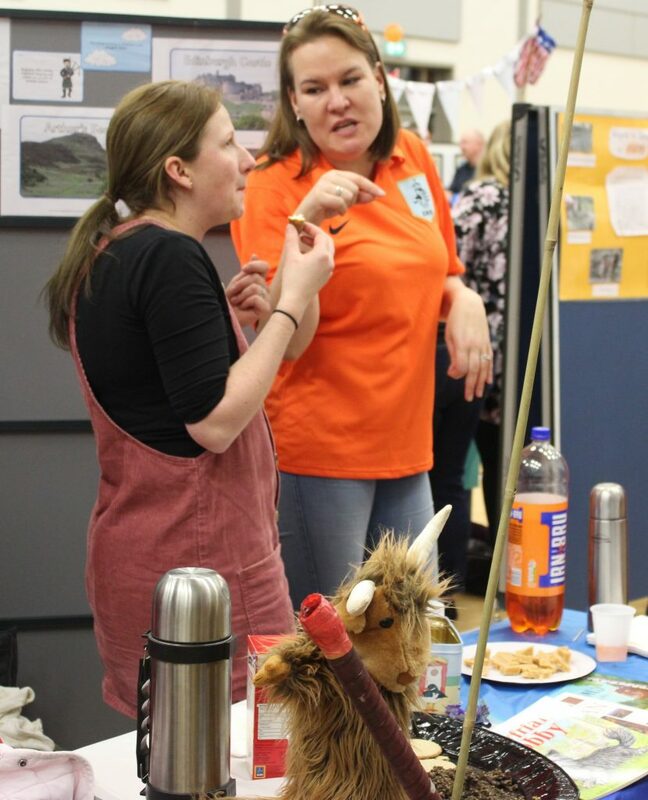 Many people ate their way around the hall! No food festival could have done better. 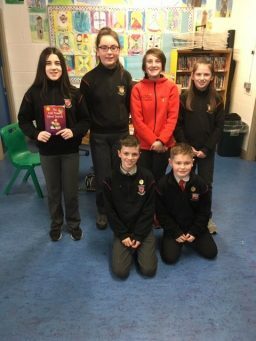 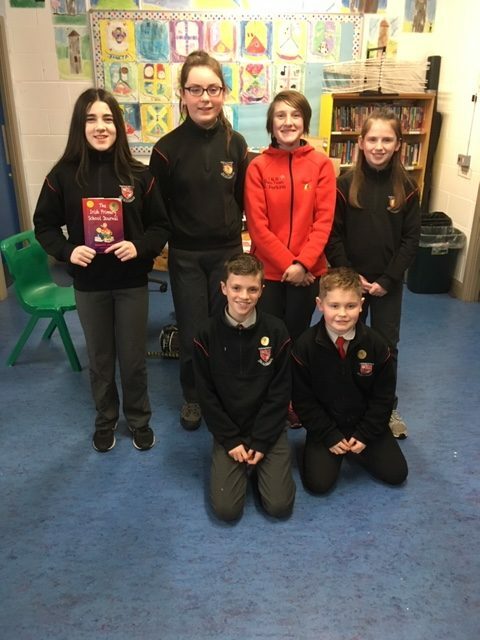 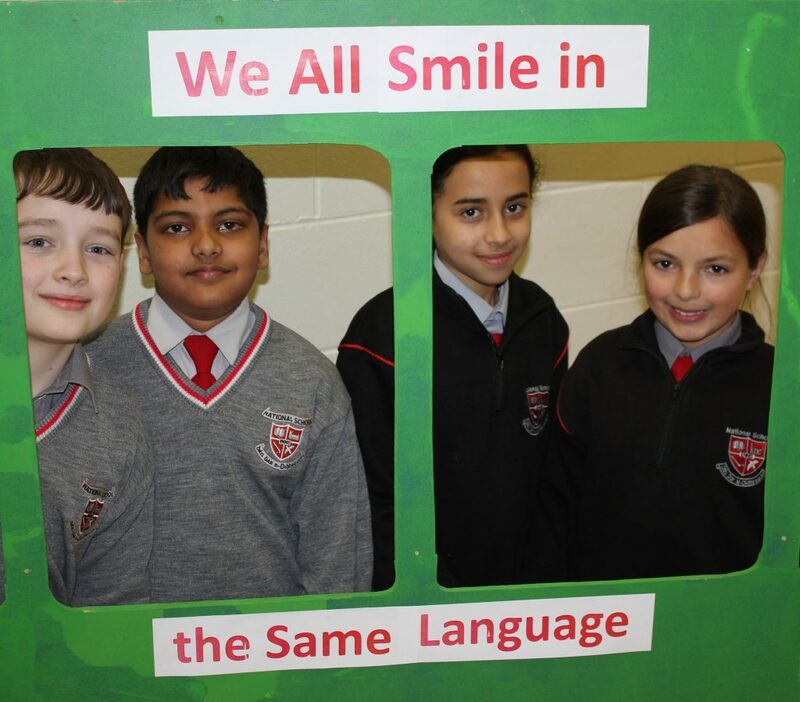 A huge thank you to parents who provided this for their generosity. 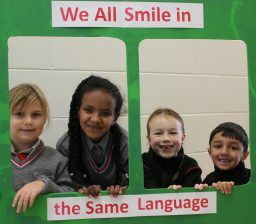 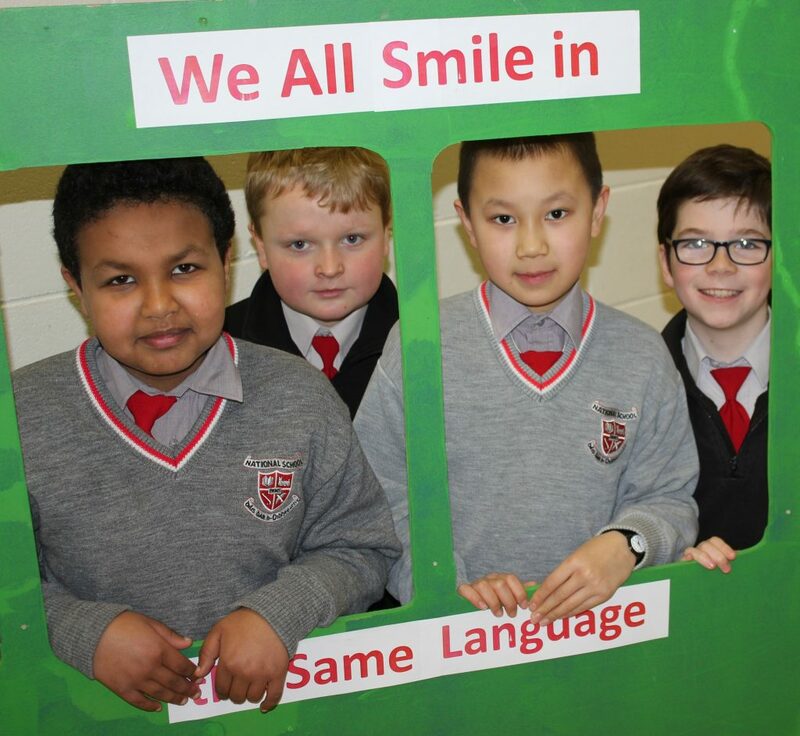 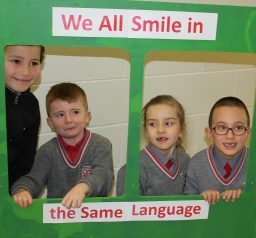 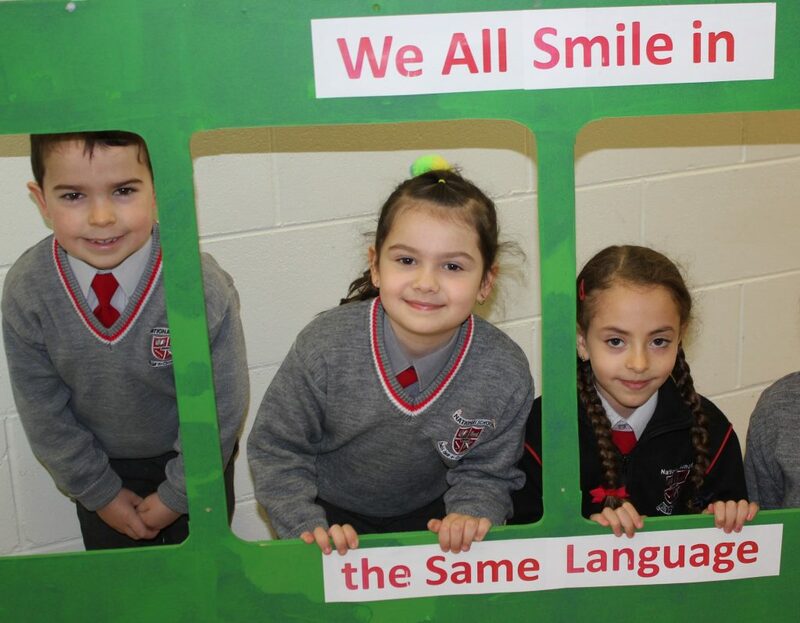 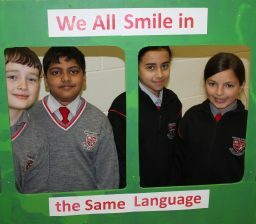 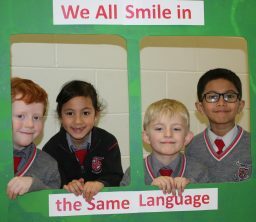 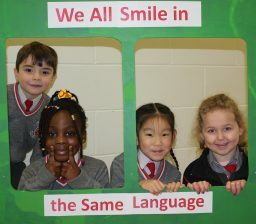 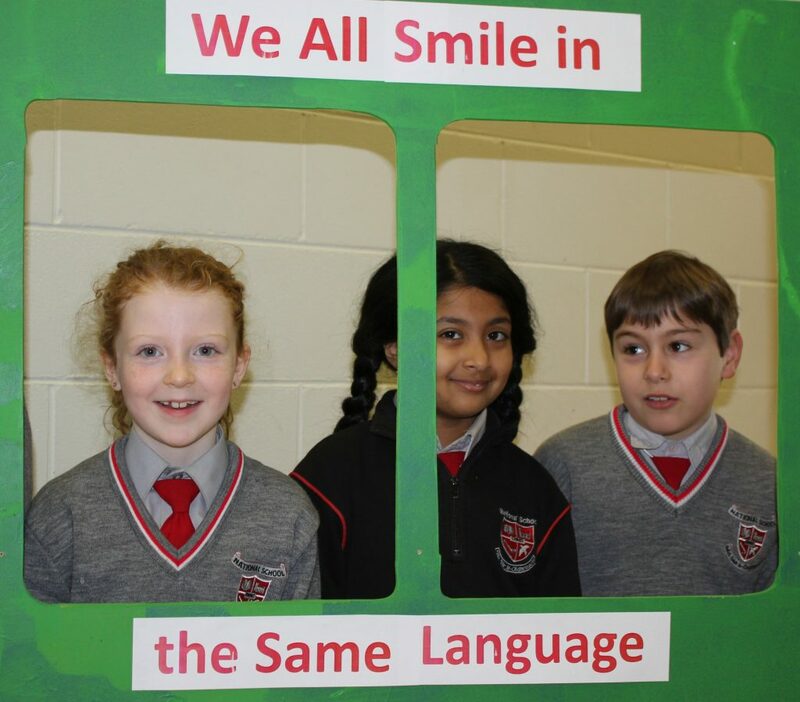 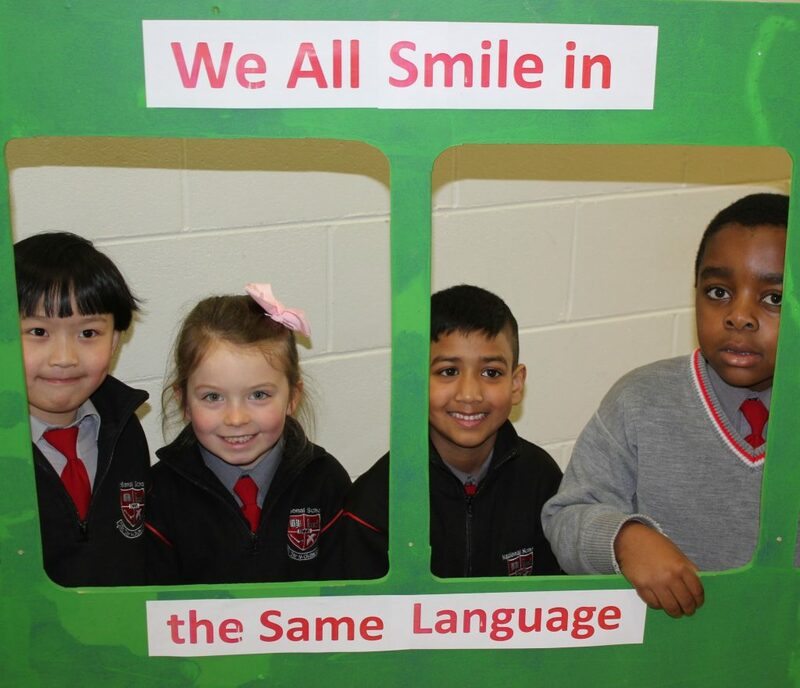 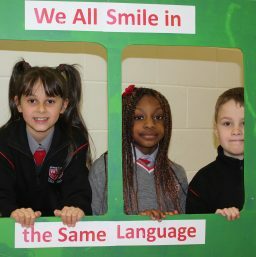 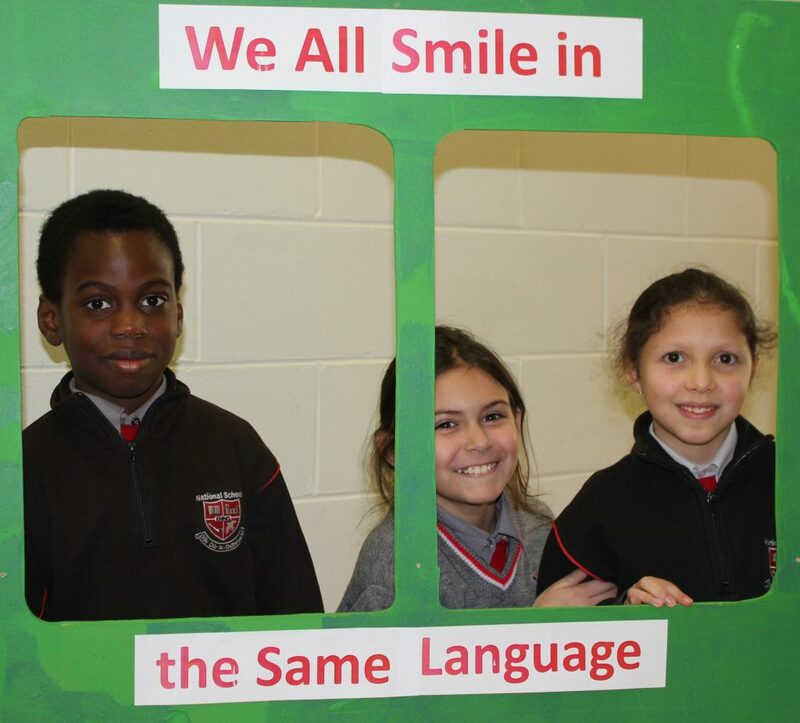 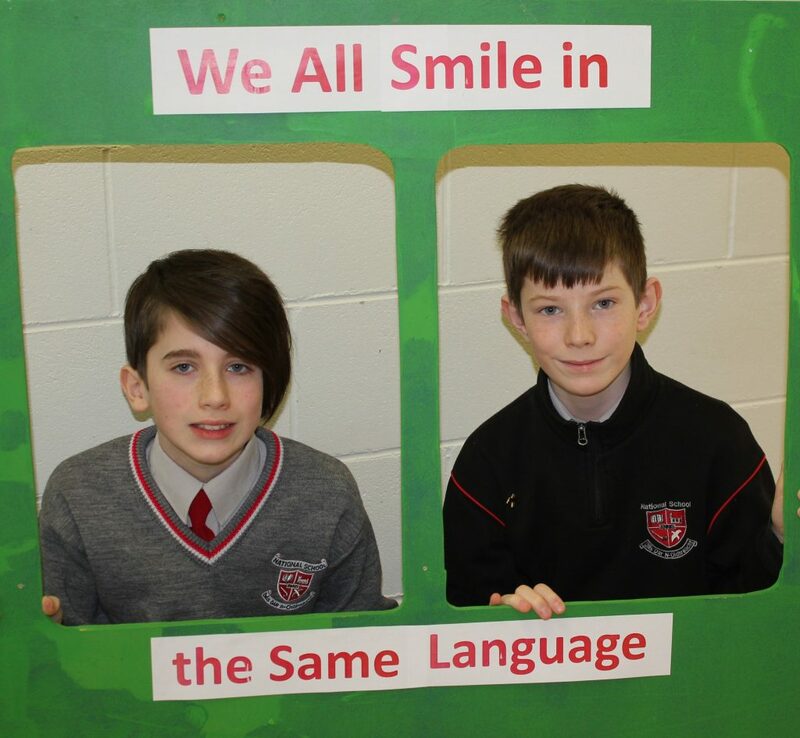 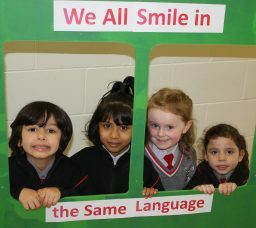 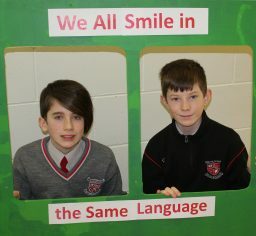 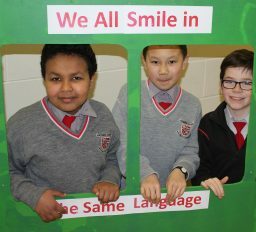 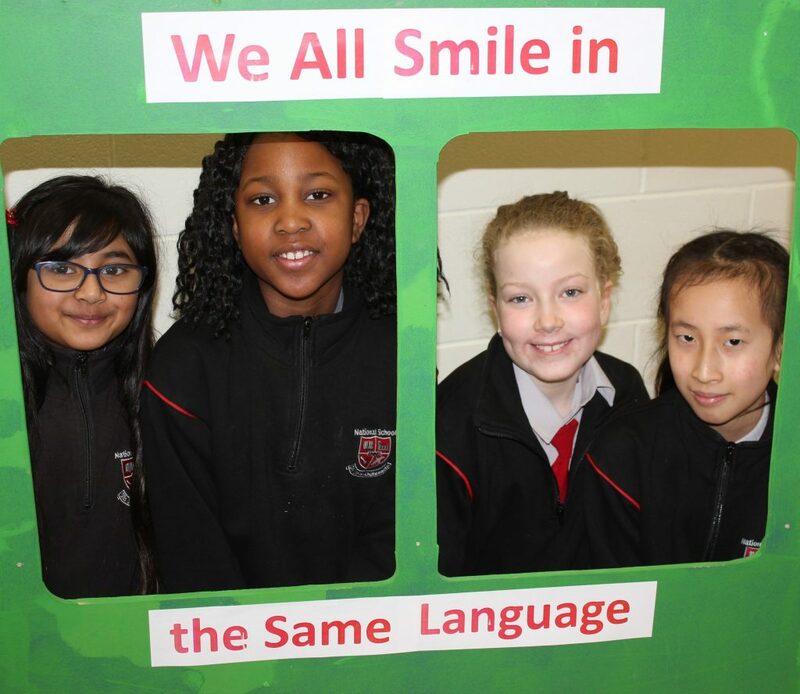 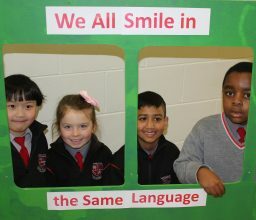 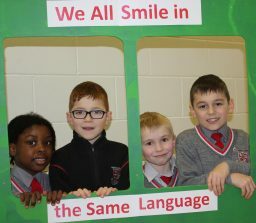 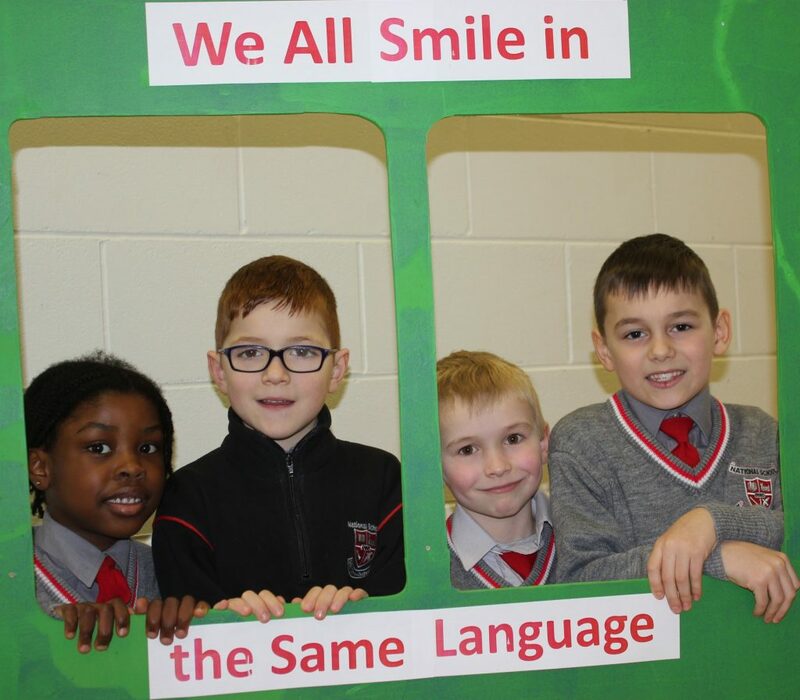 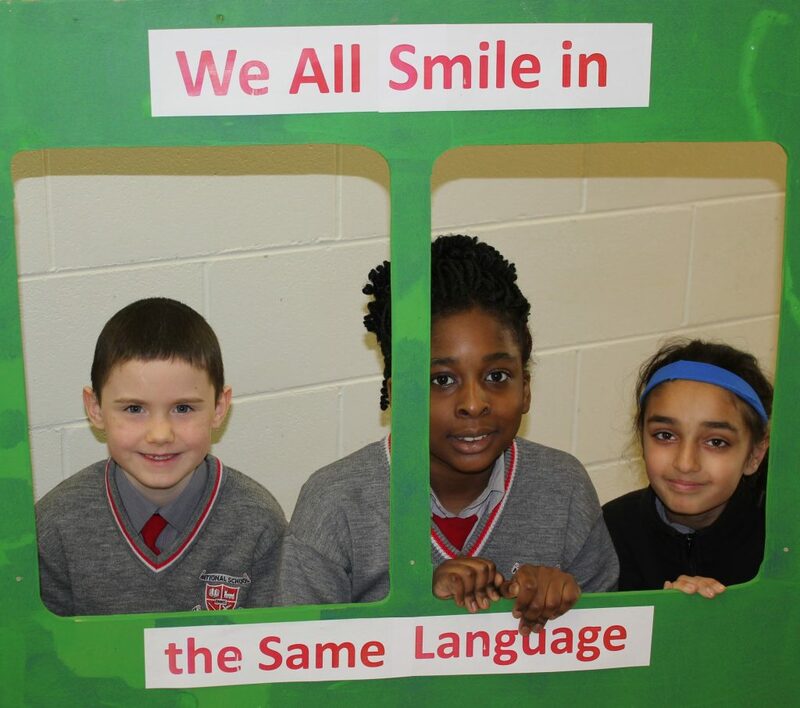 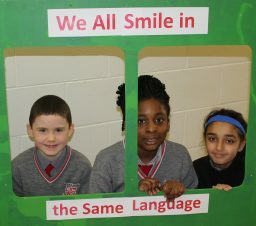 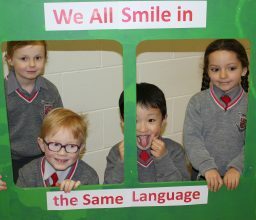 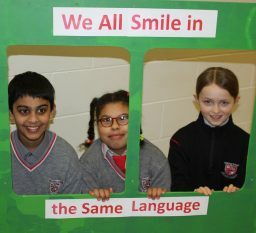 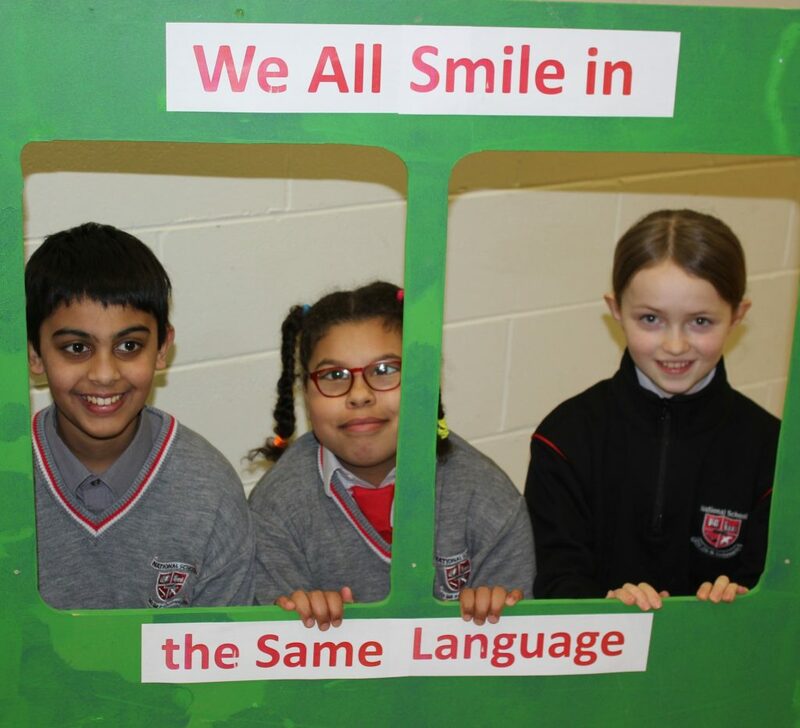 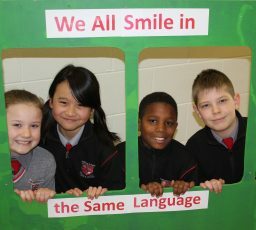 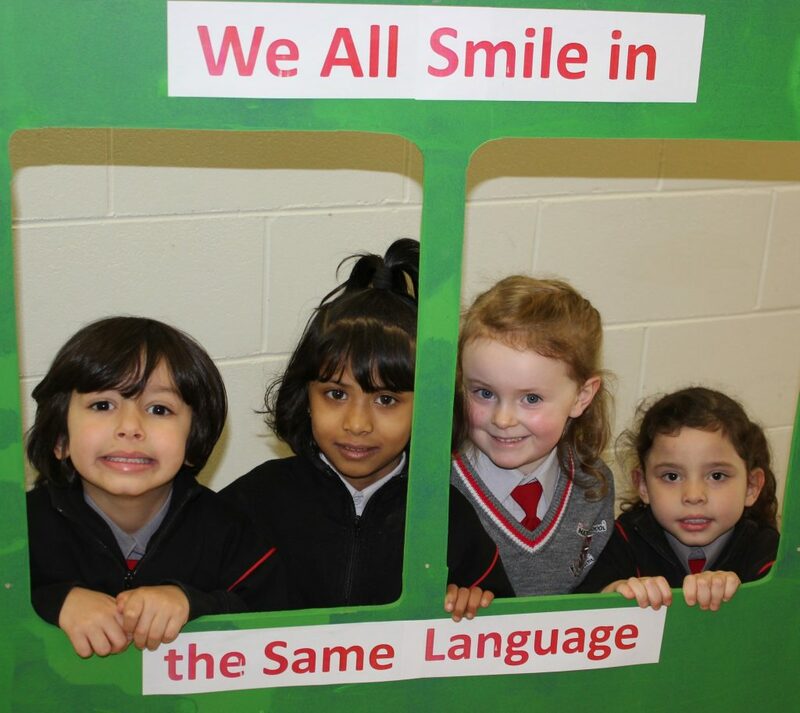 “We all smile in the same language”.